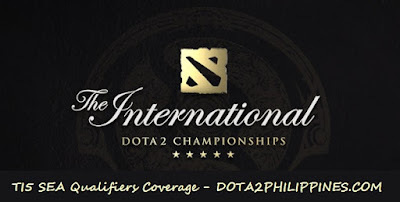 Don't forget to support the Pinoy Dota 2 teams competing at the TI5 SEA Qualifiers! All times are Philippine Standard Time (+8 GMT). Support the Dota 2 Philippines teams! Don't forget to buy a TI5 Compendium at Pinoy Game Store!